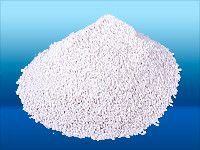 Isoperl®-2 is a grained, heat and sound insulating levelling bulk on a Perlite-basis in a special grain for applications. Isoperl®-2 can also find applications directly as an essential part of refinement products. For thermal and acoustic insulation and for avoiding condensation in humid rooms. Isoperl®-2 and Isoperl®-5 are frequently used as substrates for liquids, as for white products such as milk powder products and urea, and are also approved for organic and ecological feeds. Isoperl® is also used in formulas in which you want to achieve a good anti-caking effect (no clumps) with small quantities of additives. Due to the structure of Isoperl® it is easy to link and is therefore used as a filler in rubber processing (toothbrushes with rubber ribs with Isoperl®), abrasion coats, abrasion pastes (toothpaste for professional teeth cleaning) and in the paper industry etc.